Bring balance and complex dimension to a variety of cocktails with the Woodford Reserve 2 oz. spiced cherry bitters. 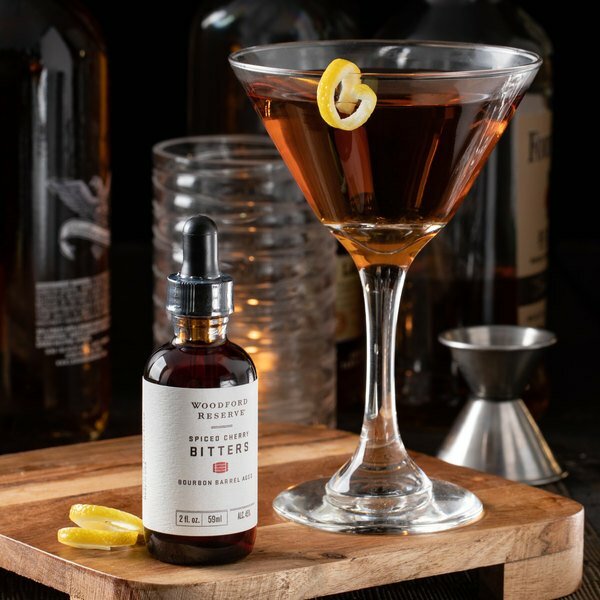 Bitters are a must-have at any bar and can make all the difference in reviving an average cocktail into a full-bodied, smooth-sipping drink worth appreciating. 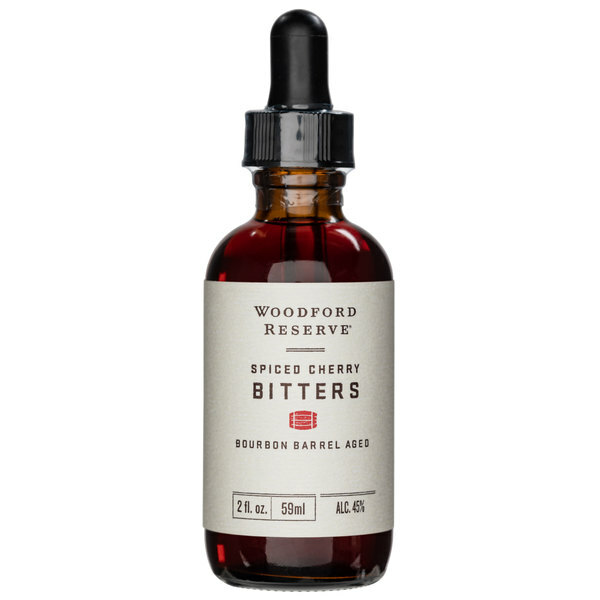 Woodford Reserve's cherry bitters are carefully crafted to add distinct spiced cherry notes to your favorite cocktails, and blends natural flavors, including gentian root, cherry, and other spices, that are brought out by its bourbon barrel aging process to produce authentic bitters with a balanced, yet complex flavor. Well-suited for whiskey and rum drinks, redefine the flavor profile of your Old Fashioned or Manhattan, or mix with other Woodford Reserve bitters to design new modern cocktail creations. These are my go to cherry bitters. I've tried other brands and these are by far the best. I love the flavor it brings to an old fashioned. I also like putting a few drops in a glass of bourbon. A few drops go a long way. I just wish the bottle were bigger. The price is a little steep for such a small bottle. great brand with good selection. it is more dark cherry which we like a lot. works on manhattans for an extra depth of the flavor. Woodford reserve spiced cherry bitters go well with any whisky cocktail. They have a very high quality ad expensive taste. I would recommend for any whisky bar. These very hard to find bitters are perfect, and are a must have for any bourbon or whiskey bar! They work perfectly in our crafty cocktails, especially our House Manhattans, and Old Fashioned cocktails! These famous Woodford Distillery bitters are perfect for exceptional, high quality drinks.